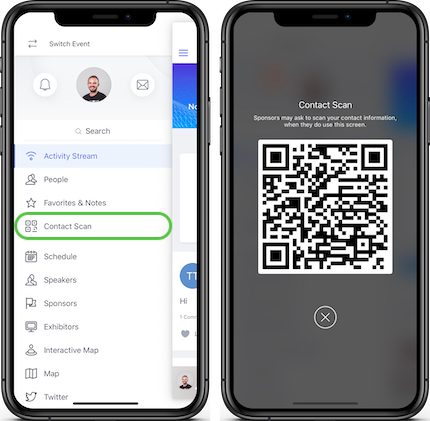 Let your exhibitors capture leads by scanning QR codes directly from the app or export all QR codes and print them on attendees badges. The QR code is a key step in the leads capturing process that is making it happen. 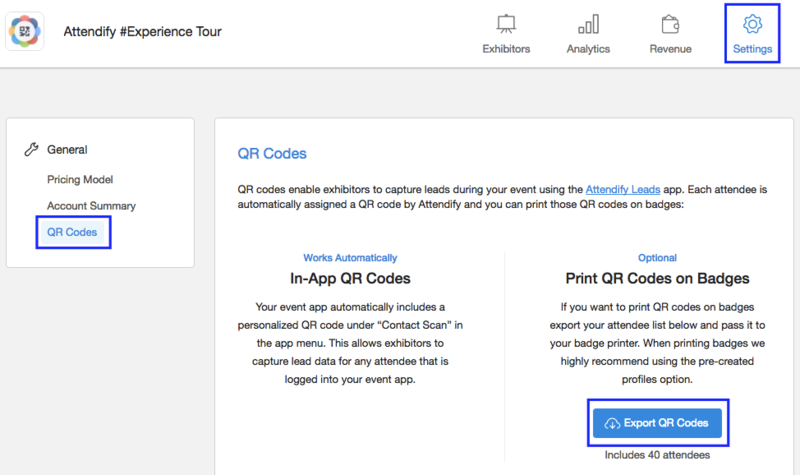 By default, a unique QR code is assigned to every attendee and available for quick access in the application's menu, immediately after an attendee creates a profile. Pass the CSV file to any badge printing service or find an online QR code generator to create QR codes and print them out.